Heu-Kaufen – Who is behind it? Heu-Kaufen was founded in May 2014 by Florian Gollob. 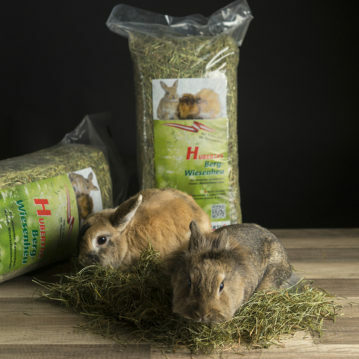 The goal of Heu-Kaufen is to produce genuine premium hay for rabbits. 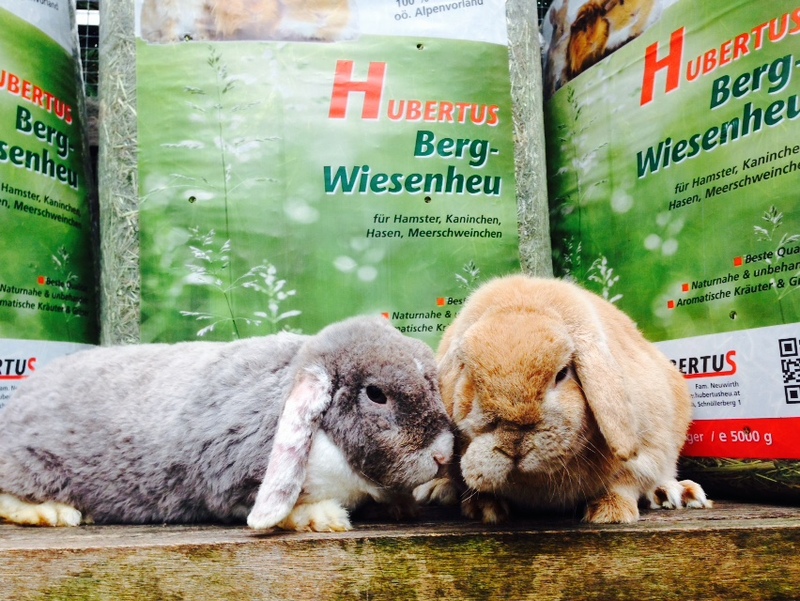 Willi and Werner are doing well with our hay. 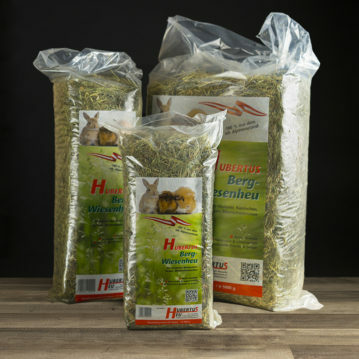 In the field, grasses and herbs have to grow in a special ratio in order to ensure a balanced and healthy diet for rabbits. That is why we exclusively use the same Austrian meadows! A special drying plant allows a much better quality of feed than it is the case with soil-dried hay. The hay is taken earlier from the field and dried up under roof. Thus, the hay does not lose the valuable leaves by too much frequent spinning, in which the important vitamins and minerals are contained. The goal is to keep losses as low as possible. You notice this by smell and color. It smells like summer! I promise! If one works with a full heart on one thing, then it succeeds unimaginable! 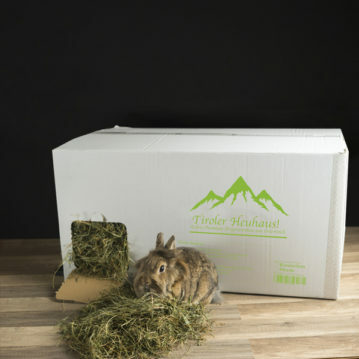 We are particularly proud that our hay is well-known already far over the borders of Austria. Florian grew up in the heart of the Austrian hay region. Already as a child, he brought the fresh milk daily to the local peasant and helped with his sisters to harvest the hay. Despite his strong rural roots, he began his education as an IT specialist in Vienna and completed his newly acquired skills with a 3-semester Graphic-Design at the college. As a senior employee, he worked in a medium-sized company with well-known companies and organizations, such as Raiffeisen, United Nations, Visa and many more. In 2011 Florian Gollob founded an advertising agency. Together with an employee, he developed web projects with a lot of know-how and a high potential for success. Good hay is characterized by many leaves and a naturally green color. In order to avoid crumbling losses in the hay, the sun can help to dry the hay only to a certain residual moisture. But his heart has always belonged to agriculture. Especially the topic of drying up the hay and the related improvement of the basic feed has done it to him. His work always leads him across Europe. He advises farmers on the subject of “conversion to hay economy”. At the beginning of 2016, the company succeeded in leaping into the pet trade. 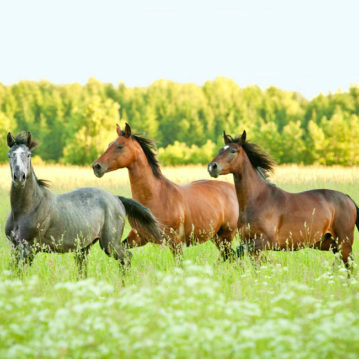 For instance, around 40 pet shops trust in the hay from Heu-Kaufen. 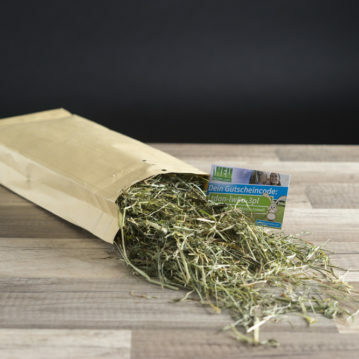 The balanced herbs and grasses of the Austrian meadows as well as the careful harvest are an important building block for an exceptional hay quality. But it is only by means of mechanical drying that a very rich, leafy, clean product can be produced. The meadow also retains its greenish natural color. In a small video we summarized this again. Our hay can be ordered in the Hay-Shop. Already since 2012, Florian Gollob dreamed of a web portal, where farmers can offer and buy certified hay quality – a hay exchange with the certain extra. Premium hay is becoming more and more important in the face of rising feed prices, in order to permanently reduce the supply of soya as an example. The goal of this page is to make something better together</ strong>. Farmers with good to very good hay quality receive with this website the chance to resell our hay at a good price. Buyers get tested feed quality for their animals, if their own food is not enough or if something has gone wrong with their own harvest. Heu-Kaufen.com is also for all interesting, who currently feed the silage. Many silage farms feed hay. By feeding high-quality hay, the animals become more vital, therefore the milk is something special (more than twice the amount of omega-3 fatty acids are contained in the hay-milk) and the risk of cardiovascular disease decreases considerably. Florian Gollob firmly believes in the most original form of feed conservation, and that it is a great thing for all, who are involved!